In the midst of a bitter labour struggle in Idaho, 250 miners seize a train, ride it into the town of Warnder, and blow up a $250,000 mill of the Bunker Hill mine. The Frank Slide. 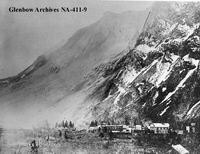 A massive rockslide sends 82 million tonnes of limestone rock crashing down the mountain into the coal mining town of Frank in what is now Alberta. Between 70 and 90 people die. In late April 1919, anarchists led by Luigi Galleani mail bombs to 36 prominent figures in the U.S., including politicians, businessmen, and newspaper editors. The first of the bombs explodes on April 29 when it is opened by a housekeeper at the house of the Senator it was addressed to. She loses both her hands. The remaining bombs are intercepted. 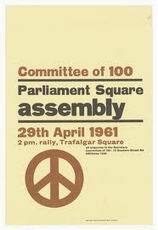 Members of the anti-war Committee of 100 stage a sit-down demonstration in Parliament Square in London and refuse to move. Police arrest 826 people. 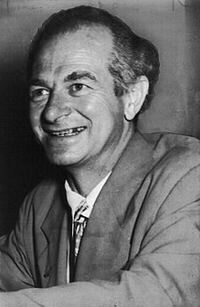 Linus Pauling, winner of the Nobel Prize for Chemistry, turns down an invitation from President John F. Kennedy to have dinner at the White House along with other Nobel Prize winners. Instead Pauling chooses to join a picket line outside the White House protesting the United States’ resumption of nuclear testing. The last U.S. military and CIA personnel flee Saigon as the victorious Vietnamese resistance forces move in on the city.